This Saturday (24th September) we’ll be meeting up in Daunt Sq, Cork City at 1:00pm. As the boycott of Israeli products becomes more effective – the Israeli response become more extreme. Amnesty International have condemned threats made by Israeli ministers against BDS activists. 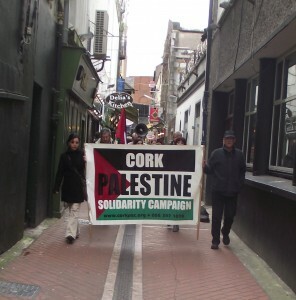 Please join us in Daunt Sq, or afterwards at the Palestine Information Centre, 18 Cove St, (behind Sullivan’s Quay). The information centre will be open from 2:00 to 5:00pm. And all are welcome.